AN IMPROVISED BOMB found outside a derelict house in the west Dublin suburb of Drimnagh this afternoon has been disabled by the army bomb squad. Defence Forces experts were deployed to the scene at Sperrin Road after they were alerted to the incident by gardaí, and arrived at around 1pm. Traffic restrictions had been put in place by gardaí in advance of their arrival, and a number of houses nearby evacuated. According to the Defence Forces, the device was rendered safe where it was found, without the need for a controlled explosion. The scene was declared safe at 2.15 pm. The device has since been taken to a safe military location for forensic tests, and all component parts will later be handed over to investigating gardaí. Today’s was the 168th call out of 2013 for the army bomb squad. 59 viable explosive devices have been dealt with so far this year. 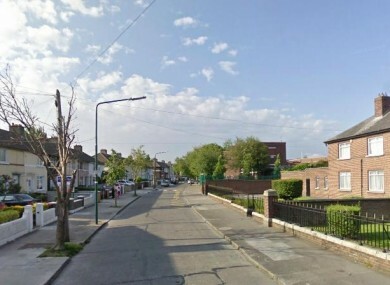 Email “Houses evacuated after viable bomb found in Drimnagh”. Feedback on “Houses evacuated after viable bomb found in Drimnagh”.